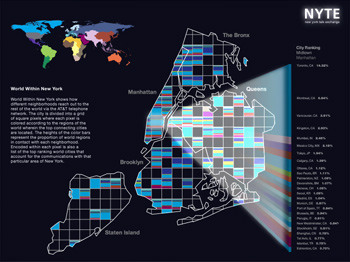 Visualizations for the New York Talk Exchange, a project by the Senseable City Lab at MIT for the MoMA. 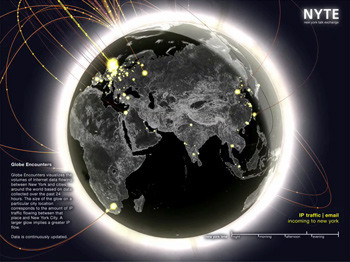 New York Talk Exchange illustrates the global exchange of information in real time by visualizing volumes of AT&T long distance telephone and IP (Internet Protocol) data flowing between New York and cities around the world. 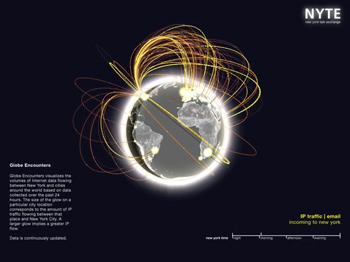 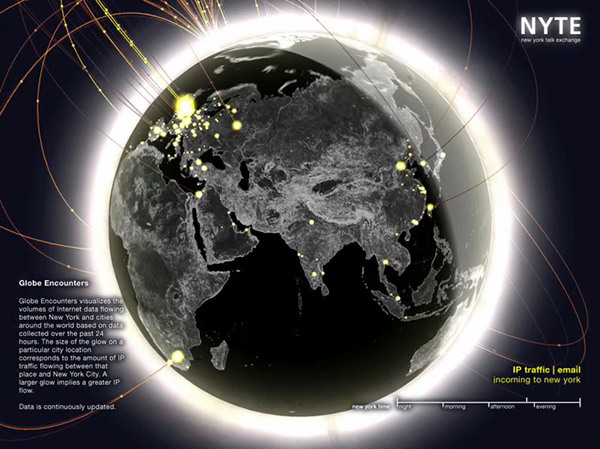 On the live globe, data from AT&T long distance and internet services is continuously visualized with a 24 hour delay. 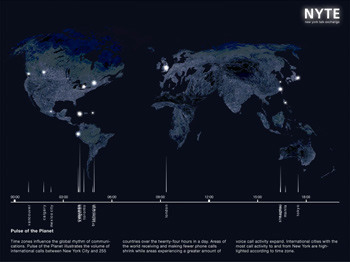 Cylces are made between regions showing changes over time. 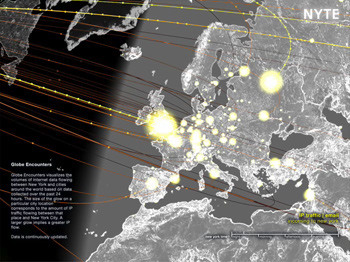 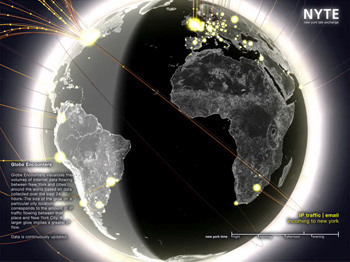 New York Talk Exchange illustrates the global exchange of information in real time by visualizing volumes of long distance telephone and IP (Internet Protocol) data flowing between New York and cities around the world.